As NASA closes in on the next major milestone of its Commercial Crew Program (CCP), the Agency has noted its desire to continue the “sharing of knowledge” with any partner that loses out on continued NASA funding. The first NASA crew to ride on a US commercial vehicle is expected to occur in December, 2017 – a date that continues to be challenged by funding uncertainties. 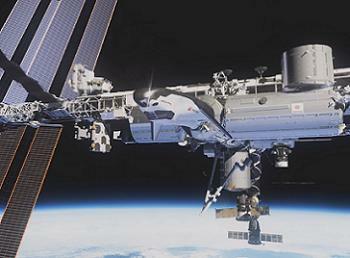 The transition toward commercial transportation of NASA astronauts is a flagship program for the Agency. The last NASA crew to ride into space on an American vehicle were the astronauts of STS-135, as Atlantis closed out the 30 year career of the Space Shuttle Program (SSP). A painful void between the end of Shuttle and the availability of the next American crew vehicle was always going to be unavoidable. However, due to continued changes to NASA’s direction – including the aborted Constellation Program (CxP) – the gap has grown. With NASA’s limited funding spread over an array of programs, the requirement of sending hundreds of millions of NASA dollars to Roscosmos – to purchase seats on the Russian Soyuz, the only means of launching NASA astronauts to the International Space Station (ISS) – is less than ideal. 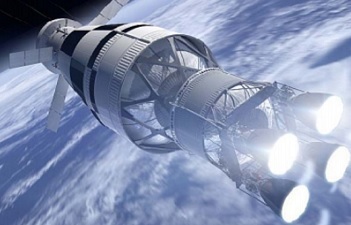 Along with NASA’s expensive goals of returning to Beyond Earth Orbit (BEO) exploration with the Space Launch System (SLS) and Orion, the limited amount of money available for returning American independence to Low Earth Orbit (LEO) is not conducive to a speedy solution to the Agency’s “catch 22” scenario for domestic ISS transportation. However, despite the Commercial Crew Program being one of the leaner budget lines, especially when compared to SLS and Orion, it has become a shining light of the Agency’s fostering of commercial space. Three major commercial companies are currently receiving funding and technological assistance from NASA, in tandem with their own investment, helping to give birth to three brand new crew spacecraft. 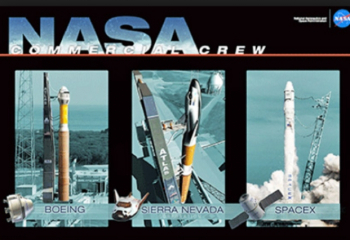 Sierra Nevada Corporation (SNC), SpaceX and Boeing are the three companies that won through to the next stage of NASA’s commercial crew program, following their Commercial Crew integrated Capability (CCiCap) initiative awards back in August, 2012. All three companies have fostered the growth of their crew vehicles, with SpaceX recently revealing the crew version of their already-flying Dragon, known as the Dragon V2. Boeing are making progress with its CST-100 capsule, while SNC bring a spaceplane to the table with the Dream Chaser spacecraft. “There has been considerable progress recently,” noted minutes at the latest Aerospace Safety Advisory Panel (ASAP) meeting. The CCiCAP phase has seen all three companies hit major milestones, mainly within the pre-determined time scale, as they position themselves for test flights in 2016. “Boeing has completed its Critical Design Review (CDR) and the phase 2 Safety Review Board. SpaceX has completed its integrated crew vehicle CDR, and its operations CDR is coming up. 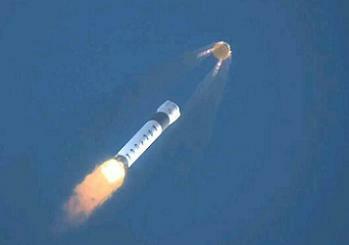 “SpaceX also has a pad abort test and an in-flight abort test that are on the calendar over the next six months. SNC has finished wind tunnel testing and conducted some main propulsion system and reaction control system tests. Next up is the announcement of the transition to the Commercial Crew Transportation Capability (CCtCap) contracts, to be announced later this month, or early in September, depending on political direction. Although the source selection process is obviously an internal debate, with its results embargoed until the time of the NASA announcement, it is hoped that two of the commercial crew providers will move forward with additional funding. That continued association may be in the form of unfunded Space Act Agreements (SAA), not unlike that which Blue Origin is currently working under, as it develops a crew capsule outside of the trio working with CCiCAP funding. 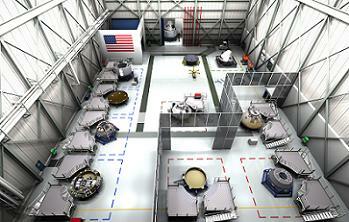 Such an arrangement allows for close cooperation with NASA, albeit without the funding boost. As to which companies are likely to win through to the CCtCap phase, that is a tightly kept secret. However, over recent months, sources have noted NASA’s strong affection toward the multi-capable Dream Chaser, while SpaceX has a growing track record with its Falcon 9 and cargo-Dragon combinations via its Commercial Resupply Services (CRS) missions. Boeing’s CST-100 is deep into converting Orbiter Processing Facility (OPF-3) into their Kennedy Space Center (KSC) operations base, while Dream Chaser is also set to take up residency at the famous spaceport. 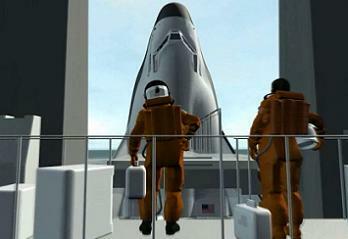 The multi-user aspirations of KSC is classed as a key ambition for NASA. Both CST-100 and Dream Chaser have confirmed they will launch with ULA’s Atlas V, although they are both capable of being launched by the Falcon 9. SpaceX and SNC have provided additional roles for their spacecraft past the NASA crew launch requirements, likely meaning both spacecraft will fly regardless of their NASA funding outlooks. Interestingly, the first NASA crew mission on a commercial vehicle – known as USCV-1 (US Crew Vehicle -1) – was recently omitted from the latest long-term ISS all-vehicle manifest presentation (L2), after previously being shown to have slipped to December, 2017. It is likely NASA is waiting to re-evaluate the manifest plan once the “under pressure” funding and schedule outlook for the CCtCap winners has been solidified. Those considerations include the key decision of taking one, two or all three commercial suitors forward, along with how much funding they will be provided with. Sources intimate it is likely two of the three will be provided with CCtCap funding. It is hoped the remaining company – should NASA cut one of the competitors – will still push forward with their plans to launch their spacecraft. As per the comments at the ASAP meeting, the Agency also hopes this will be the scenario. (Images: via L2 Sections – containing presentations, videos, images, interactive high level updates and more, with additional images via NASA, SpaceX, SNC and Boeing).